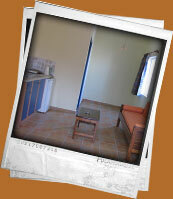 Our rooms are spacious and discretly decorated. 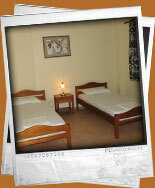 We emphasize on cleanliness and linen is changed regularly. 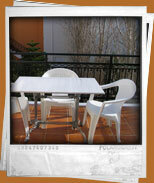 All apartments are spacious and have big balconies or yards, air-conditioning, hot water all day long and T.V. They are fully furnished with a kitchenette and fridge. Furthermore, there is no worry for parking as we have a private parking area for our guests. You can see our services here. Rooms are cleaned on a daily basis.